DFL Legal was created by five former partners of an international law firm with offices located around the world and with headquarters situated in Pittsburgh, Pennsylvania. The five partners formed the core of their former firm’s global construction and engineering practice group, including the group founder and leader. Together, the five have practiced for more than 100 years. 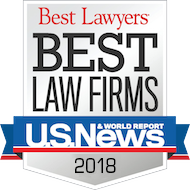 First and foremost, we are trial attorneys who have focused our entire careers on the resolution of complex construction and engineering disputes. We have acted as lead counsel on national and international mega-projects with values of several billion dollars. We have handled hundreds of matters relating to a wide variety of projects located in nearly every state in the United States and more than 20 different countries abroad. Our matters span a diverse cross-section of the industry, including oil & gas, power generation, pulp & paper, chemical, iron & steel, commercial, heavy highway and tunnel projects. Our experience envelopes dispute resolution; contract negotiations; project finance; public-private partnerships; transportation; surety bonds; letters of credit; insurance coverage; international arbitration; forensic investigations; engineering, procurement and construction (EPC) and turnkey projects; process plants; the Uniform Commercial Code; engineering and contractor licenses; liens; public procurements; commercial litigation; schedule and delay claims; force majeure claims; subsurface conditions; warranties; joint defense and common interest agreements; tolling agreements; teaming agreements; and consortiums, joint ventures and limited liability companies. Because of the breadth and depth of our experience, we believe that DFL Legal offers a unique solution to our clients’ legal challenges. We have listened to complaints from clients and embraced their demand for change. Clients are objecting to the exorbitant rates and inefficiencies so prevalent in today’s legal marketplace. They want high quality legal services with predictable fee structures that reflect value and a shared allocation of risk and reward. We bring to bear big firm and big case experience to complex construction and engineering disputes unencumbered by big firm hierarchies and costs. We offer our clients flexibility, not bureaucracy. We are proud to be at the forefront of this sea change to the “business as usual” big firm profit model. What remains constant, however, is our commitment to the time honored virtues of our profession -- zealous representation of our clients’ interests within the bounds of professional ethics and civility. We cherish the relationships we have forged with our clients over the last three decades and look forward to expanding these and creating new ones in a dynamic and evolving legal environment.